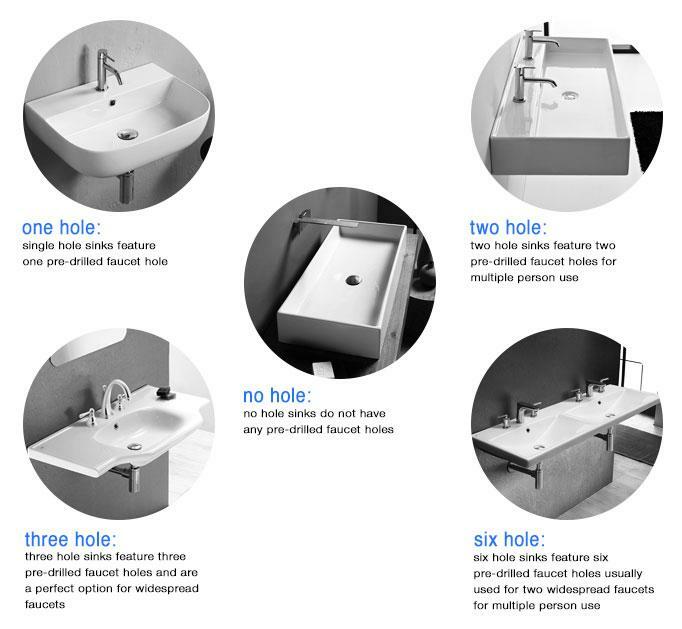 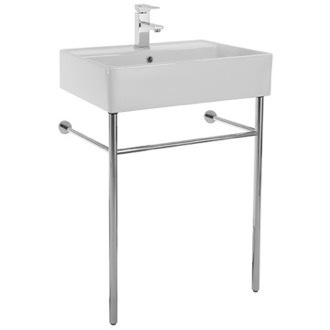 Shop our selection of modern bathroom sinks and get FREE shipping on all orders over $99! 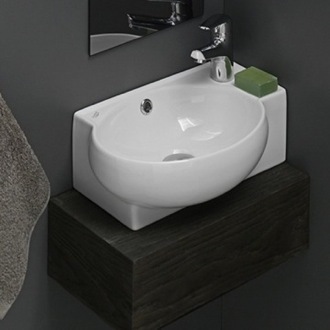 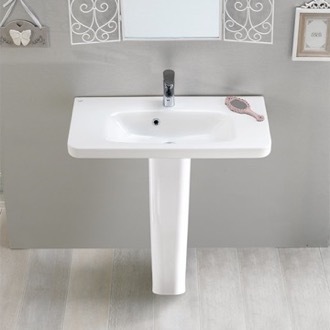 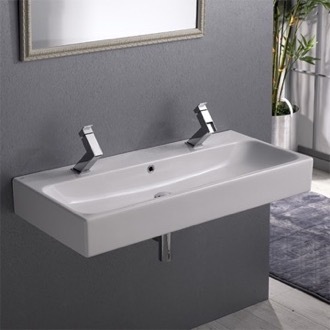 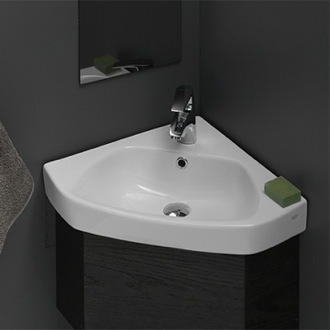 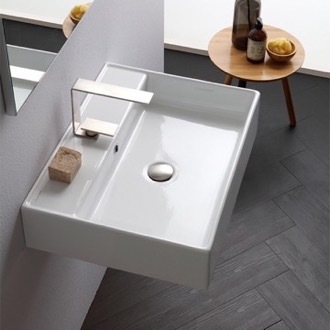 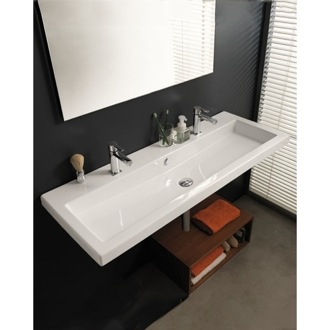 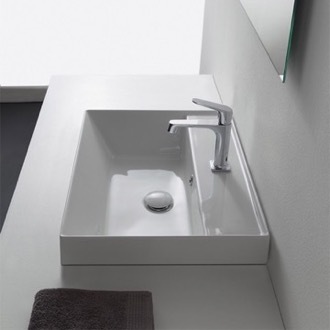 If you're in search of a new age bathroom design, you'll want to invest in a modern bathroom sink. 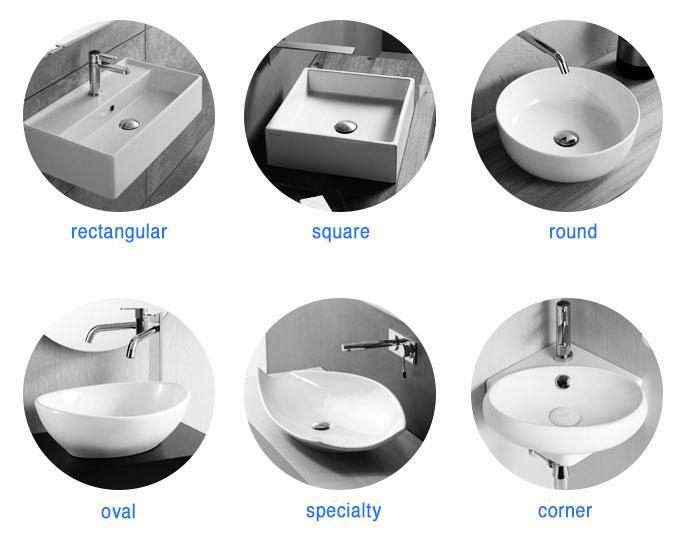 What makes a sink modern? 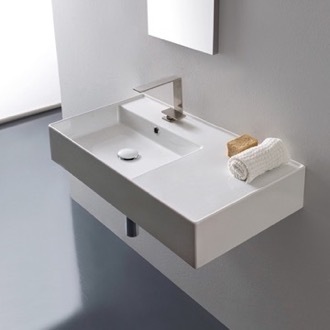 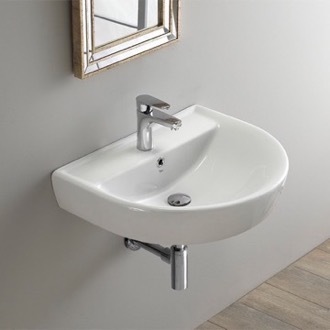 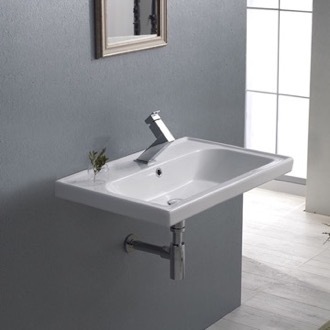 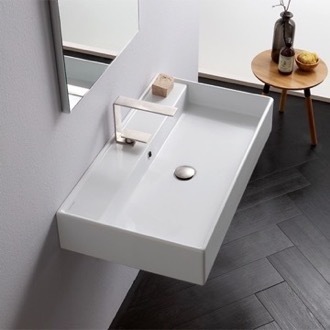 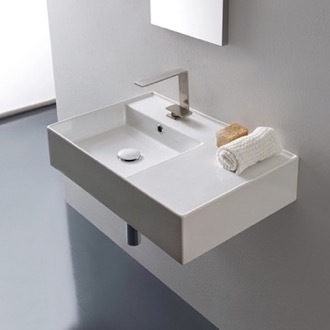 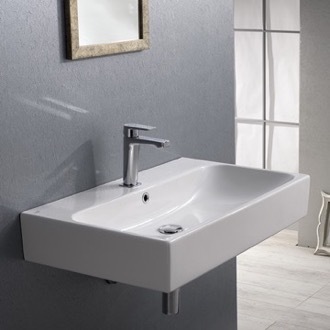 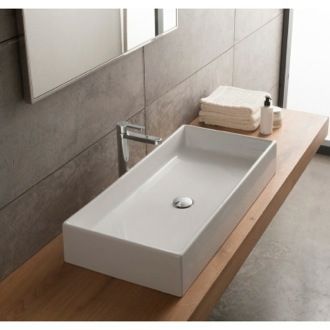 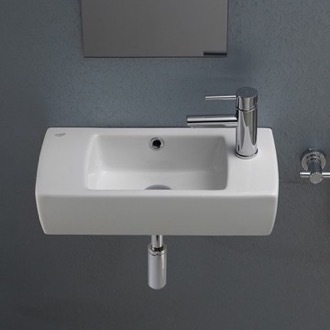 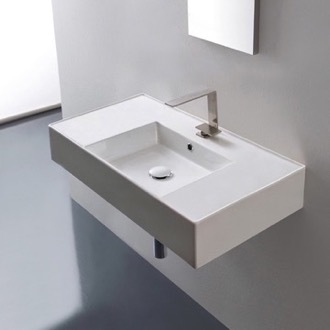 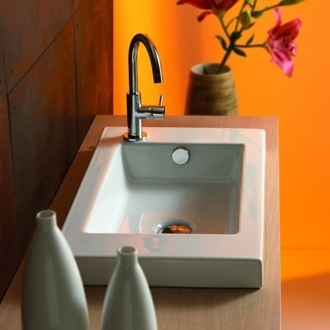 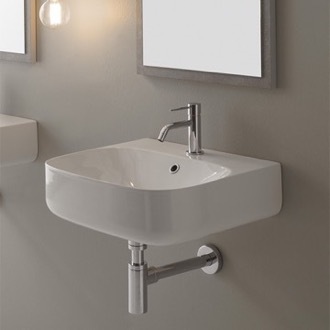 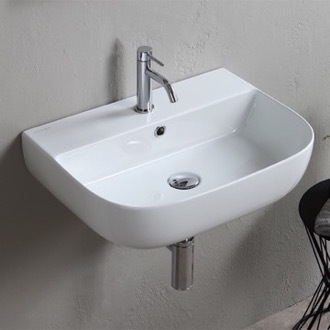 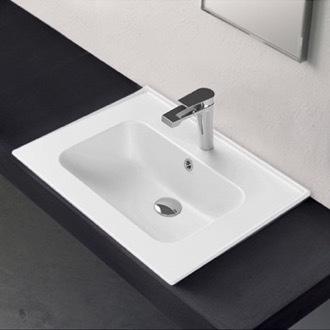 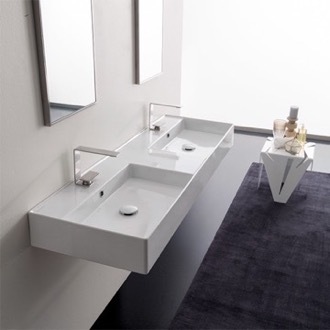 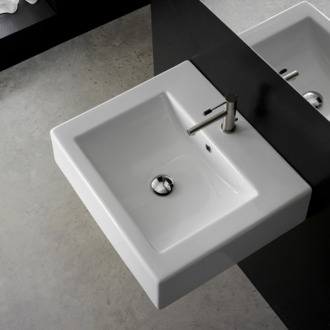 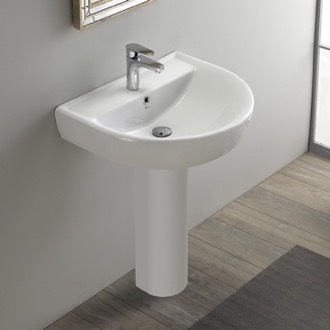 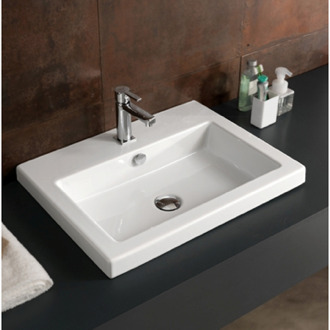 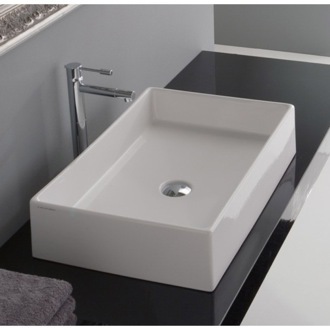 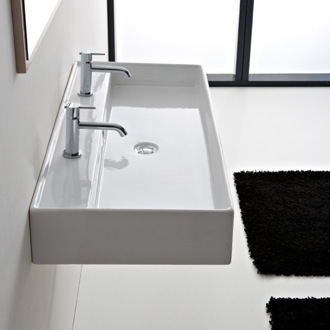 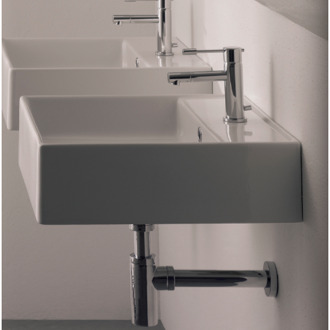 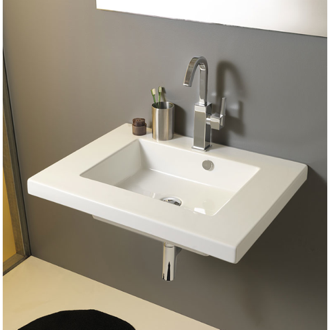 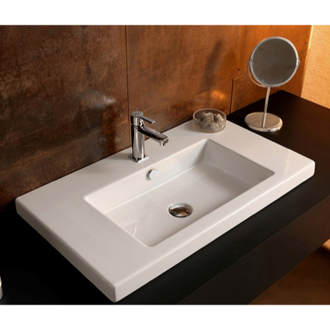 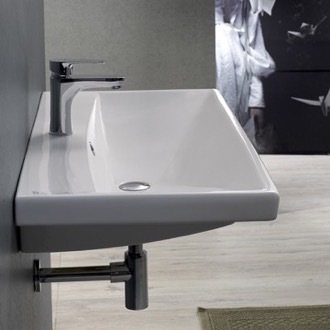 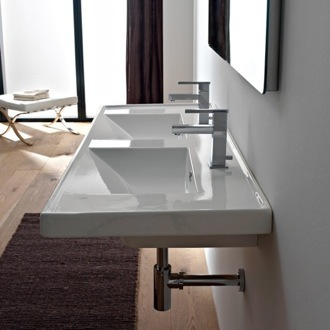 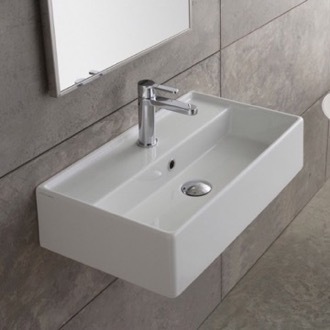 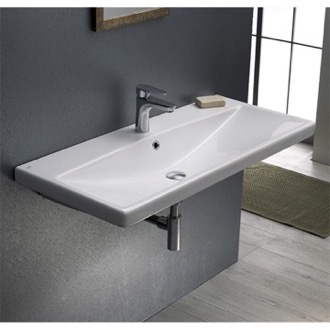 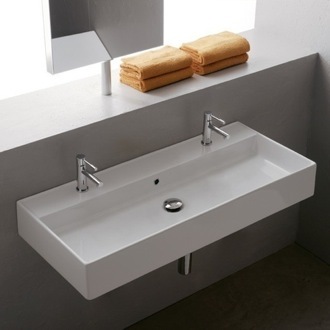 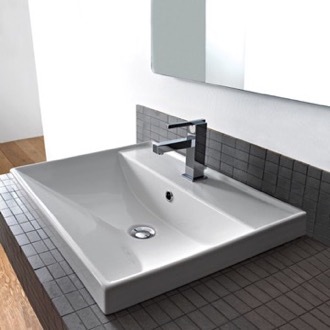 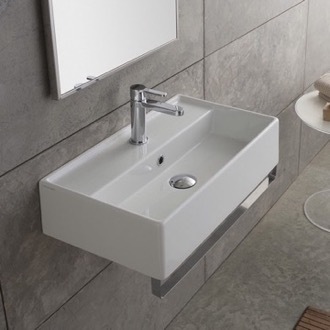 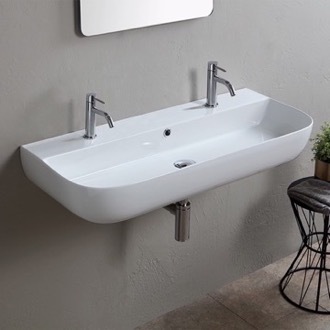 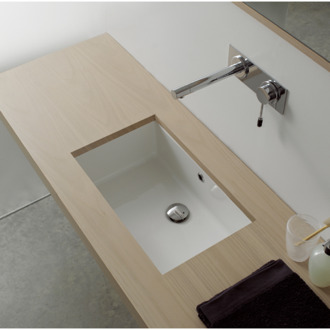 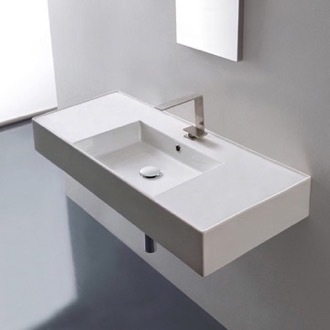 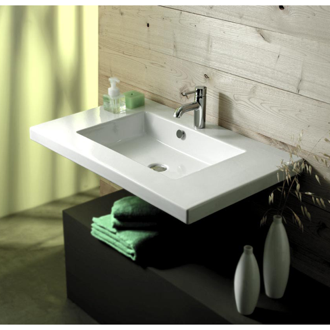 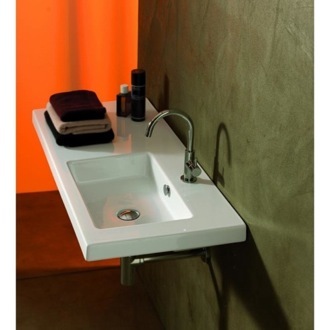 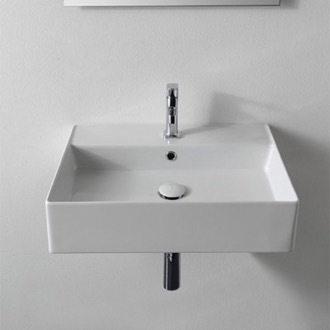 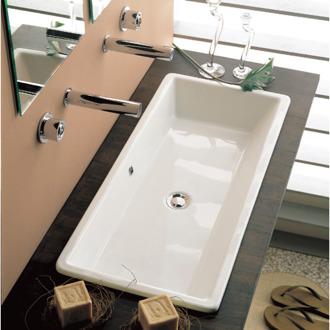 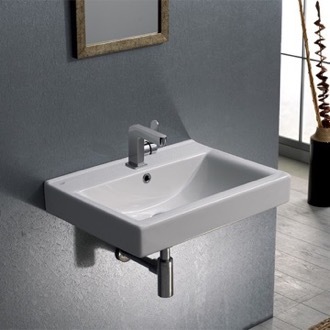 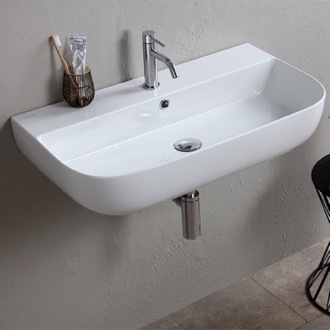 First, contemporary bathroom sinks have a simple, minimalist shape without elaborate details or trim. 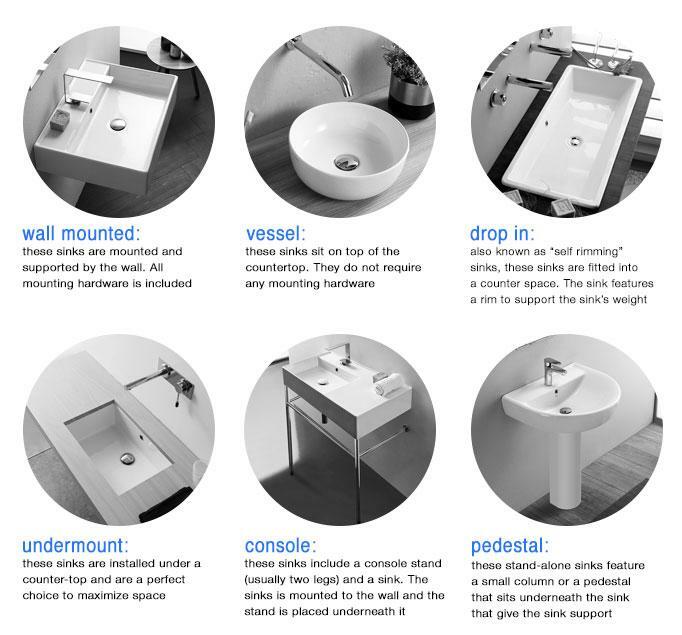 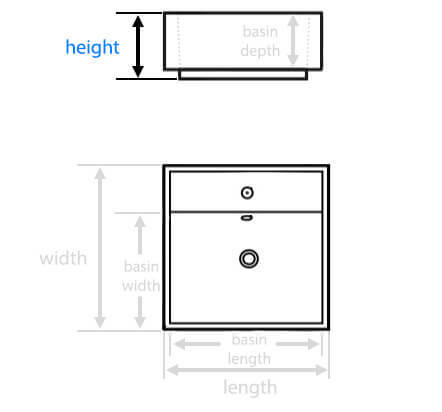 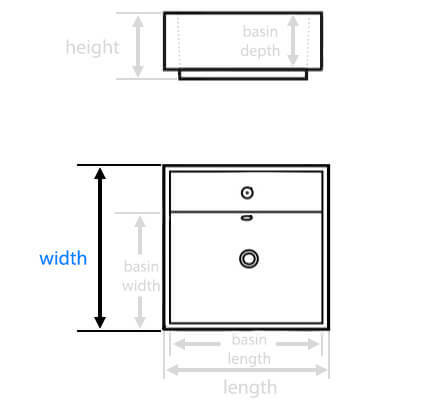 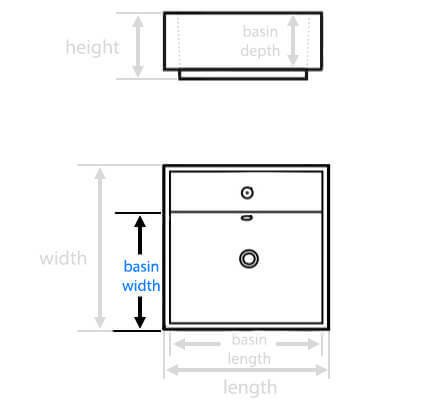 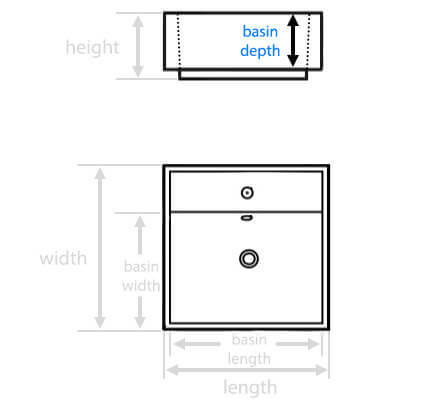 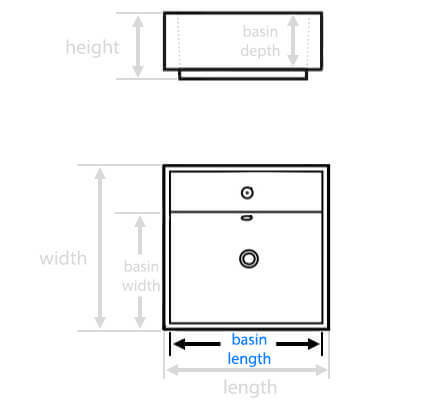 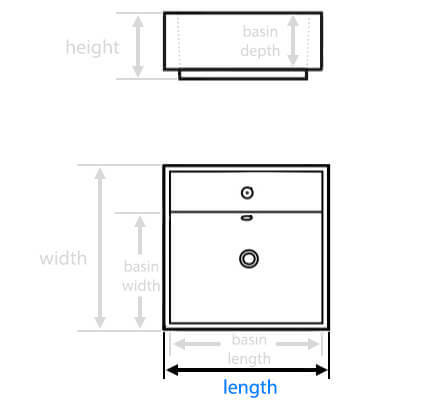 Second, the actual position of your sink matters - vessel, semi-recessed, undermount, or even console sinks are all new ways to show off (or minimize) your sink. 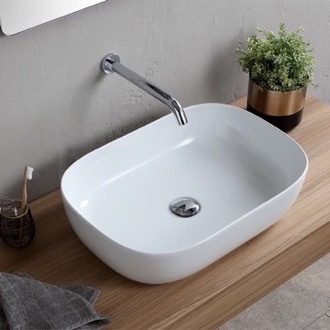 When selecting a modern sink, don't forget about your hardware; the right faucet will make your sink feel totally on trend.